We always here people say that "love makes some people do crazy things" and this next story is living proof. You would never expect for someone who loves you deeply to end your life but in this day and age people don't think before they act. 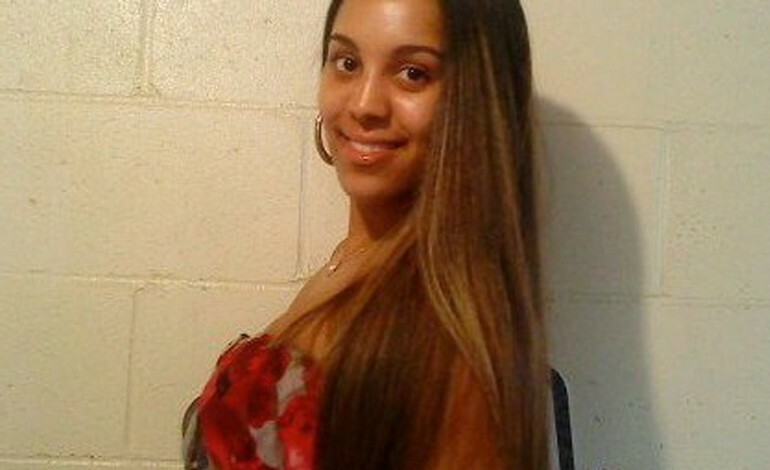 It is being reported that a Latina woman has murdered her ex-boyfriend in Philadelphia. According to Mirror, ex-girlfriend Martina Westcott allegedly killed her former flame realtor Terrell L. Bruce as the pair drove through a Philadelphia neighborhood. Not being able to handle Bruce breaking things off with her, Westcott took his life on her own hands. The site reports that the 33-year-old realtor was shot in the head by his 27-year-old ex-girlfriend as as he drove along Park Line drive in the northwest area of the city's West Mt. Airy. Westcott, who was riding in the passenger seat pulled the trigger causing Bruce to immediately lose control of the vehicle, crashing into another car and flipping onto the side. Investigators believe that Bruce broke up with Westcott while he was in the car, prompting her to take his life. Authorities found him dead a few feet from the truck, as witnesses told police they saw woman flee from the scene after the crash. Investigators searched the woods nearby and found a white jacket, stained with blood, but did not find a suspect. Witnesses reveal that Westcott allegedly ran from the scene to the nearby neighborhood of Roxborough to her mother's house and confessed to shooting Bruce. Her mother then called police and helped her daughter turn herself in. After being questioned by detectives, Westcott was officially charged with homicide. ABC 6 News reports that Terrell Bruce's family says Westcott is an ex-girlfriend who couldn't take no for an answer. "Just to get that phone call and then have to speak to detectives about my brother - it hurt. And it still hurts," said Natalye Kirkland. "She needs to understand who she really took from us, and to do this because you're heartbroken. He did nothing wrong. Terrell wasn't a person who held grudges. She knew that and she took advantage of that." Since the announcement of his death, a GoFundMe page created to help raise money for his funeral arrangements says that he worked as a real estate agent with RE/MAX in Marlton, New Jersey and was a 'selfless, hard worker, widely known for putting the interests of others ahead of his own'. The page has already raised almost $18K towards funeral arrangements. If you are interested in donating to the cause click here. Our deepest condolences goes out to the family of Terrell L. Bruce.